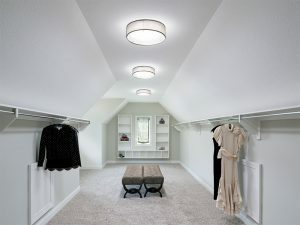 Tubular skylights allow homeowners to pipe sunlight into nearly any interior space, including closets, bathrooms, and even rooms on a lower floor. At Byers, we are a proud provider of tubular daylighting devices from Solatube®. Innovative, durable, and versatile, these tubular skylights provide abundant natural light that’s ideal for reading, needlepoint, model building, painting, or any other activity that requires keen perception of minute details. What’ more, our highly skilled and experienced technicians can install your tubular skylights in as little as two hours using techniques that minimize any disruption to your residence, so you’ll be able to brighten your home without a lengthy delay. Furthermore, since Solatube tubular skylights have no moving parts and are manufactured here in California from only premium materials, they are virtually maintenance free. They’re also backed by some of the best warranties in the industry, so you’ll have the peace of mind that comes with knowing your investment is secure. If you are interested in adding one or more tubular skylights to your home, turn to the experts at Byers. For 30 years we have been providing customers throughout northern California with top-notch solar products and expert installation services. Contact us today to schedule a no-obligation consultation with one of our specialists. And, to make your tubular skylights more affordable, we can also provide financing for qualified homeowners. Solatube is the best alternative to to traditional skyllights in bringing free natural light int your home.